Supplied image of the Stingray beach exhibit. Visitors to the Assiniboine Park Zoo will have a new underwater attraction to visit this spring. 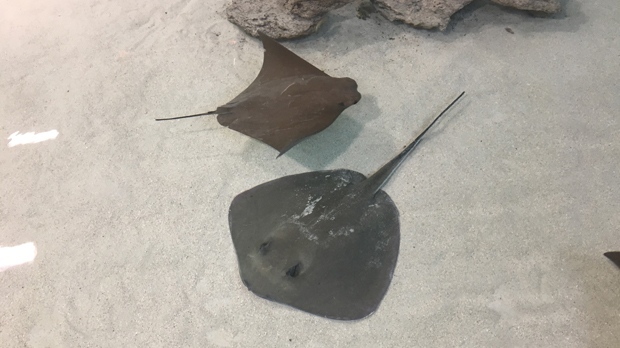 People will get to enjoy “an up-close and interactive experience” with cownose and southern stingrays at the Stingray Beach exhibit, said the zoo’s director of veterinary services and animal welfare, Dr. Chris Enright, in a news release. Stingray Beach will open in a new rotating exhibit gallery on May 16, and is included with the regular cost of admission to the zoo. Visitors will be able to touch the marine animals, which will be housed in a 1,300-square-foot shallow pool. The zoo said while stingrays seem to enjoy interacting with people, they have the option to swim away. The walls of the pool have windows that allow people to get a side view of the rays, the zoo said, and visitors can pay extra to participate in feeding sessions that will take place three times a day. The pool will be filtered with a state-of-the-art system with back-up power to ensure an optimal living environment. The zoo said at least one quarter of the world’s ray species are threatened with extinction. 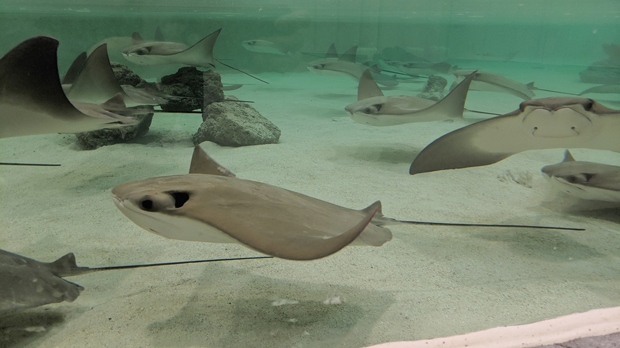 Cownose rays are named so because they have foreheads that look like the bovine body parts, and southern rays have flat, diamond shaped bodies. A cownose (top) and a southern (bottom) stingray are pictured in this supplied image.